You are here: Home / Blog / 3ft Balloons / The biggest trend in the balloon industry – Giant 3ft Balloons! 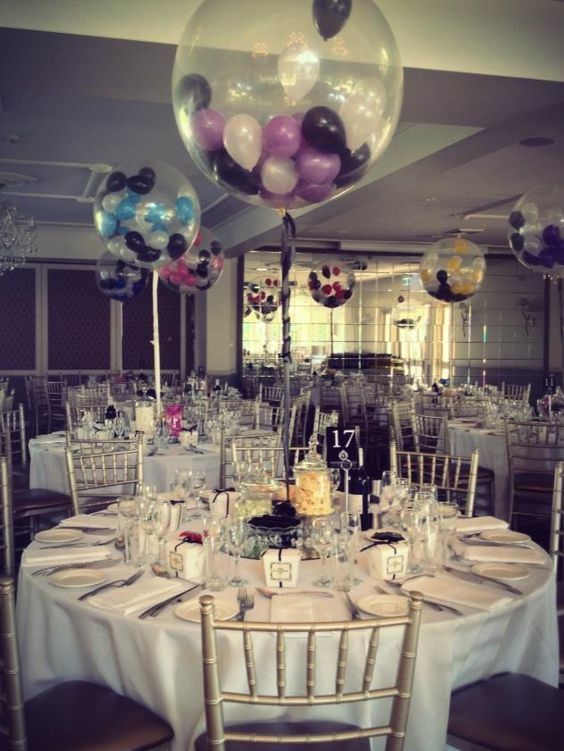 If you’ve been involved in events or been on the look out for party decor recently, you would certainly have come across the most popular trend in the industry – giant round 3ft balloons. Everyone has been going crazy for them! Weddings, Birthdays, Christenings, Product Launches, Christmas Parties, Promotions – you name it, people want them! Looking to order giant balloons for your next event? Click here. The great bonus for us with the growth in their popularity is that it’s no longer considered an extravagance but an absolute necessity to make an impact. 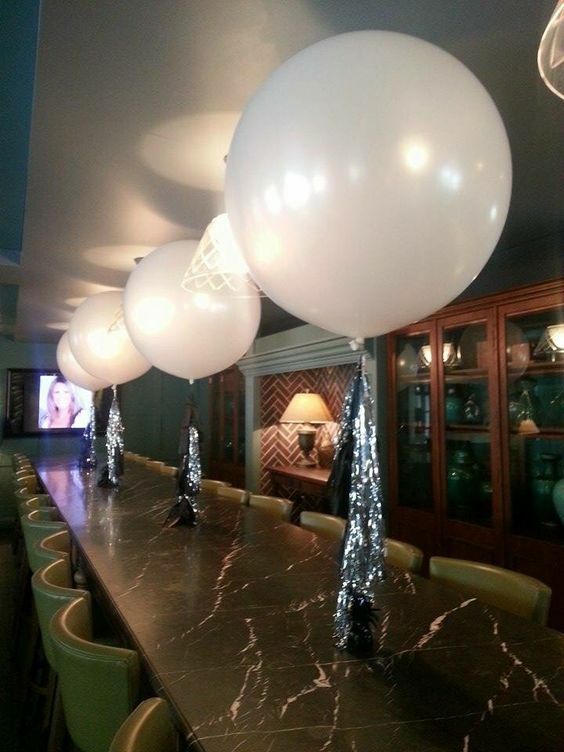 We’ve had the opportunity to experiment with new twists and designs on these big impact balloons to create even more of a wow factor. 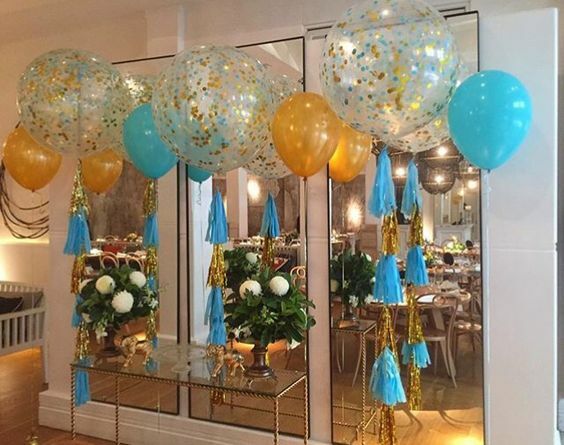 You can see some of our elegant designs – starting with Tulle Wrapped 3ft balloons. We use lovely, light bridal tulle for a soft and stunning effect, often teaming them with flowers and silk ribbons to complete the look. 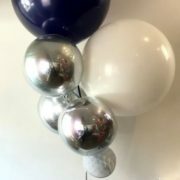 These are great because they are something totally different from the your usual event balloons. It’s really has a stunning jaw-dropping effect and we have had lots of great feedback about these! 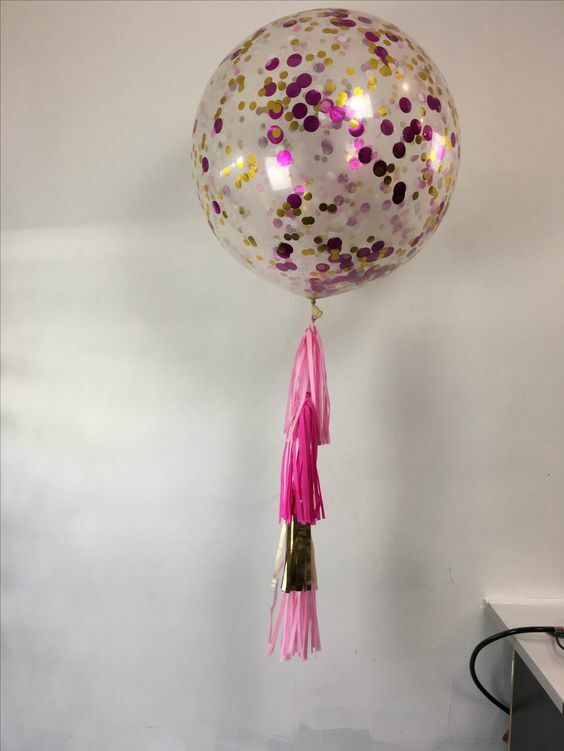 We have been getting requests from all over Australia for the funky full length and mid length tassel design on our 3fts. Each bespoke tassel is handmade and threaded together in the perfect colour combination for each event. 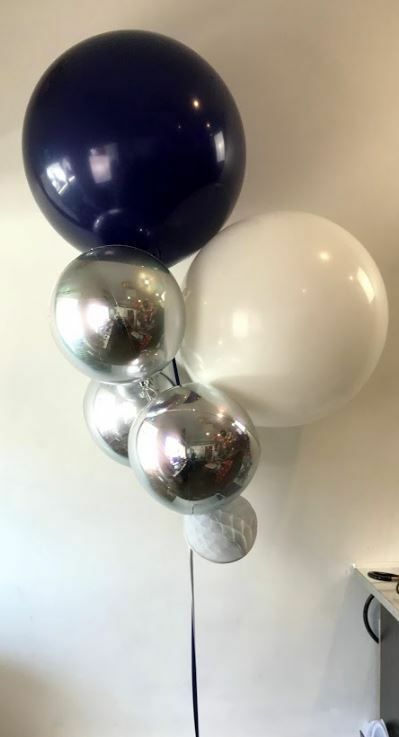 A personal favourite and very very cute design that has been hugely popular for Christenings and birthdays, are our Hot Air Balloon designs. We use one of our giant balloons inside a net. 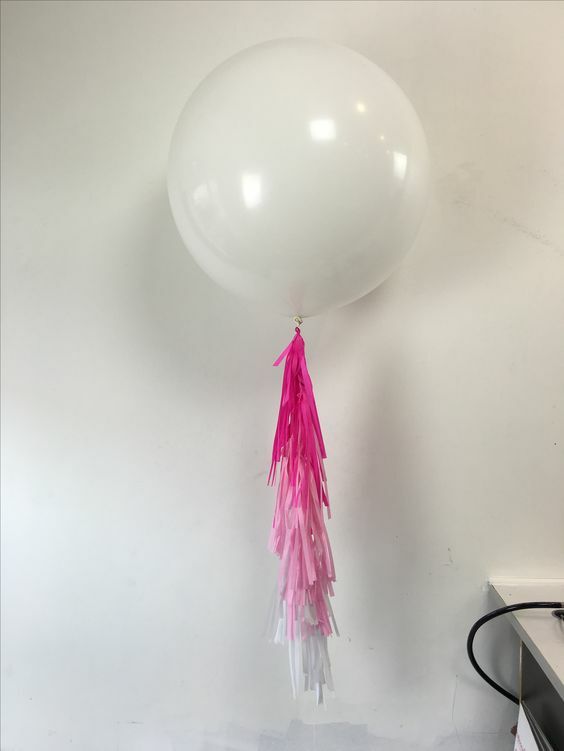 You can either attach this to a weight or basket for a super cute hot air balloon effect! Sunday.. Fun day! 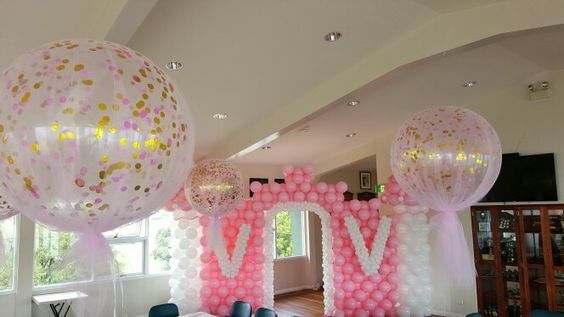 A beautiful mixture of #bright #3ftballoons in a #hotairballoon structure… Gorgeous! ? Sometimes all you need though, is pops of prints within a gorgeous colour palette. Alternating the heights adds further dimension for such a beautiful backdrop as shown in one of our favourite Baby Shower decorations below, incorporating clean matte White, with soft Rose Pink and Wildberry Polka Dots. These giant balloons really are incredibly versatile – take a look at our Pinterest Board and Instagram feed for even more inspiration pics and ideas. 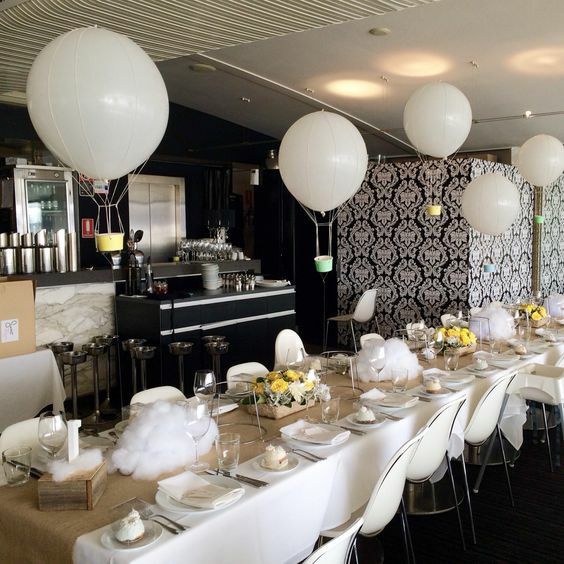 We would love to help you out with your next event and come up with the perfect decor to match your theme! Email us or give us a call on 02 9569 8101 or 1300 655 058 to talk through your ideas – we are always excited to try something new!